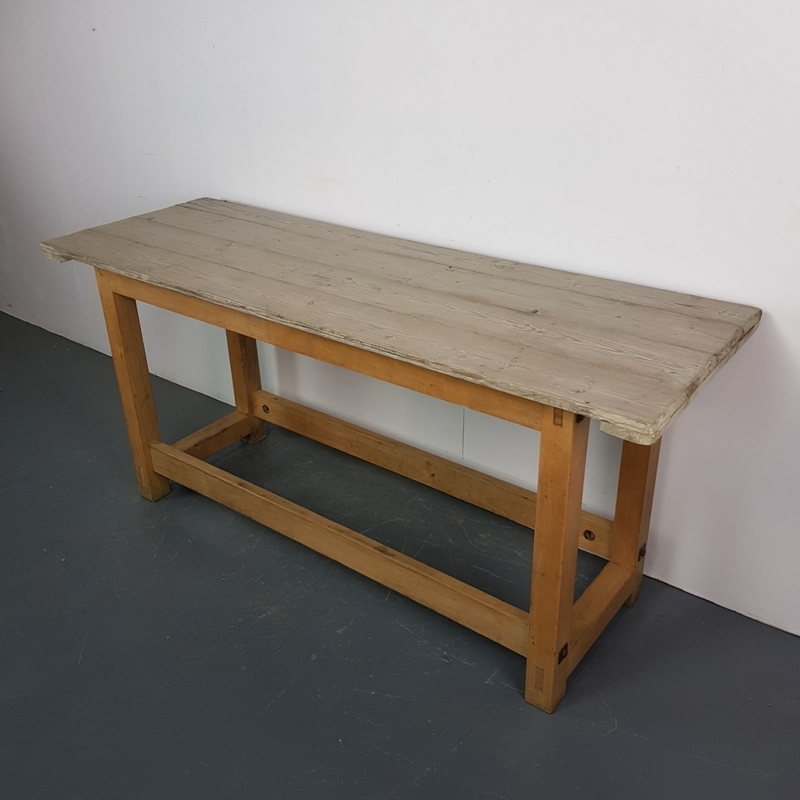 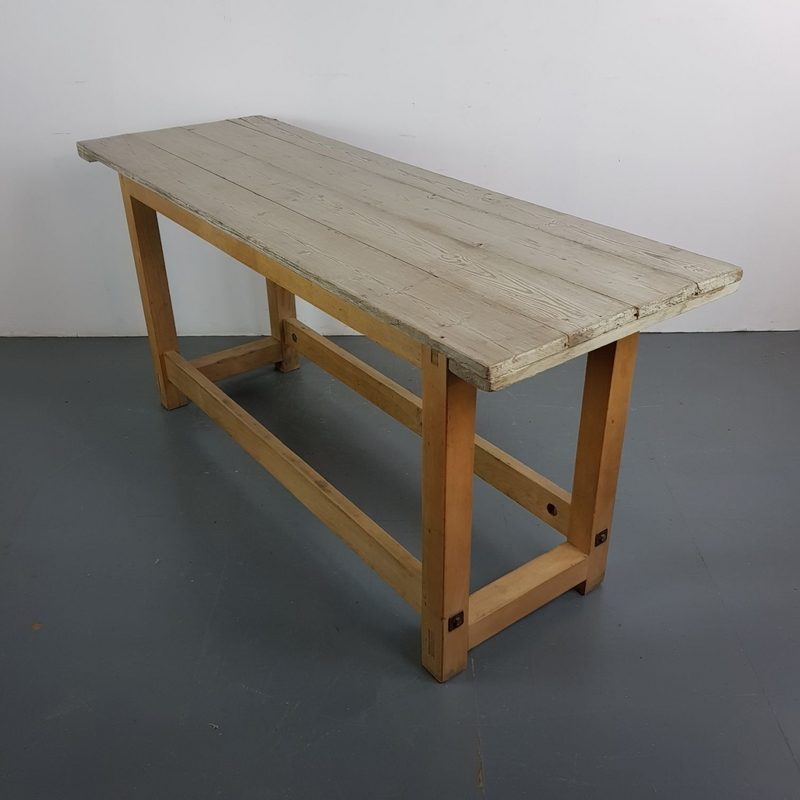 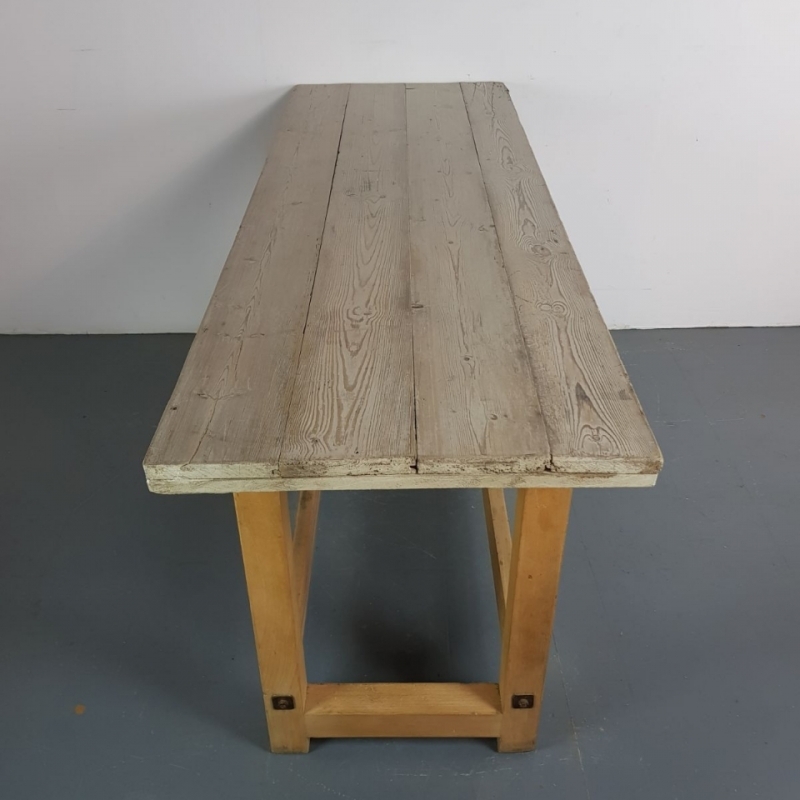 Lovely vintage industrial wooden console table / workbench. 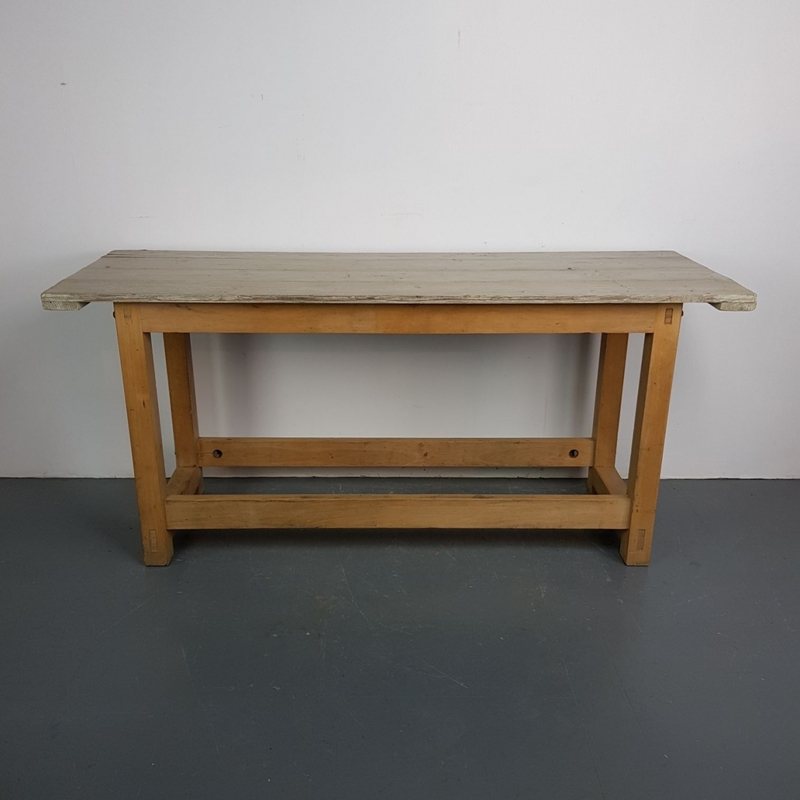 Great in a hallway, dining room or kitchen. 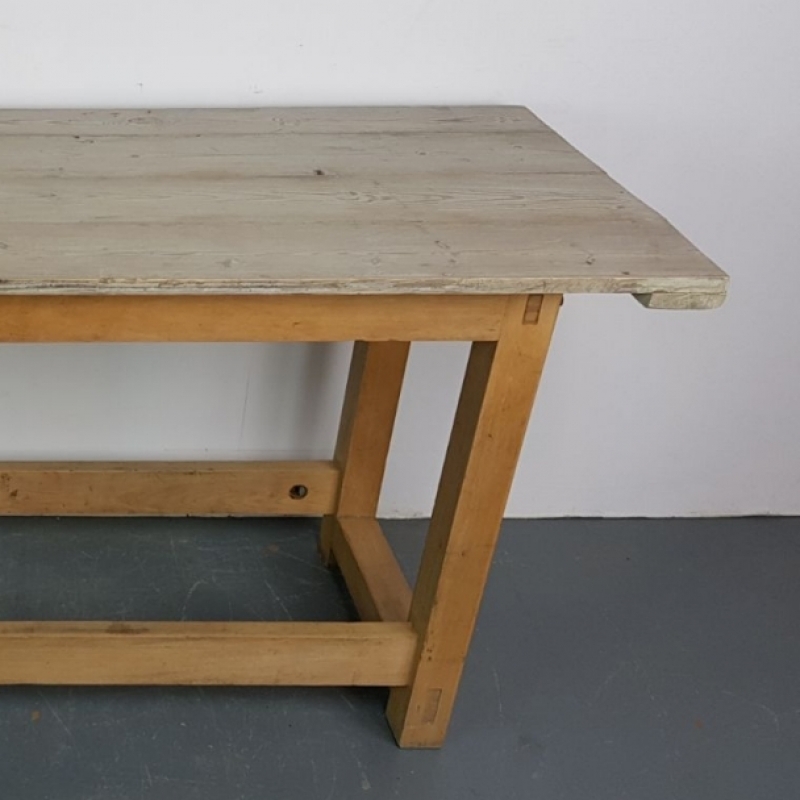 The top has a lovely distressed grey painted finish and the base hs been sanded and waxed.